Walnuts are tightly packed with an arsenal of healthy B vitamins, fiber, and antioxidants. It is the omega 3 fatty acid content of walnuts, however, that has made recent headlines. Specifically,walnuts are high in alpha-linolenic acid (ALA) that may reduce the risk of breast cancer. Research suggests that the ALA content of walnuts works synergistically with the naturally occurring vitamins, minerals, fiber, and protein of the nut, significantly reducing the development of cancerous tumors. For more information, we turn to Dr. Elaine Hardman. Dr. Hardman closely studied the development and proliferation of cancerous cells in mice at the Marshall University. Her goal: To determine if a diet rich in walnuts may reduce the rate at which cancer develops. Dr. Hardman divided mice in two groups, one “control group” that received normal nutrition and one “test group” that received a diet rich in walnuts and ALA. The results were overwhelmingly positive: those with a diet rich in walnuts developed cancer at half the rate of those in the control group. What’s more, walnuts had this profound impact on mice that were already destined for cancer. “These reductions are particularly important,” contests Dr. Hardman, “[considering] the mice were genetically programmed to develop cancer at a high rate,” (i). This implies walnuts may be even more powerful in preventing the formation in cancer in human beings, as we are not genetically programmed to develop cancer. Dr. Hardman was the leader of the research team that led this ground-breaking investigation. More information may be found in the journal of Nutrition and Cancer. Dr. Hardman’s research serves as a powerful follow up to a 2004 statement issued by the U.S. Food and Drug Administration, stating “1.5 oz of walnuts per day, as party of a low saturated and low cholesterol diet […] may reduce the risk of coronary hear disease,” (ii). Holistic Dentists: Nuts About Nuts! Holistic dentists focuses on more than just the teeth and gums. Holistic dental professionals view the human body as a large an intricately connected system. Not surprisingly, proper nutrition is a fundamental concern for holistic professionals as it directly impacts the overall health of the body. Walnuts are a powerful mega-nutrient that patients are smart to incorporate into meals whenever possible. Not only are walnuts linked with a decreased incidence of cancer, as documented above, but they also contain basic nutrients that help to energize and fortify the body. 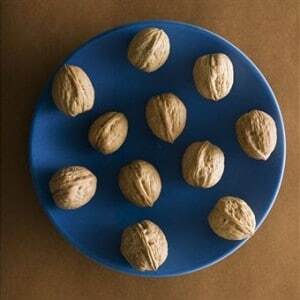 Moreover, walnuts are a perfect substitute for meat on salads, pastas, rice, and stir fry dishes. Whether vegan or simply opposed to fluoride –contaminated meats, walnuts are a great way to dramatically increase the nutritional value of daily meals! Have You Visited A Holistic Dentist? South Florida Residents: Contact Assure a Smile to schedule an appointment with a leading South Florida holistic dentist, and learn more about the “big picture” of oral health!